It’s Columbus Day here in the US. While in many places (generally those with large Italian populations) the day is celebrated in a larger public way, it goes unnoticed in many communities. Too bad since I think we need to pay a lot more attention to the things Columbus teaches us about business. First, a little history. Cristoforo Colombo was born in Genoa and is generally credited as having “discovered” America. We know, of course, that he wasn’t the first European to set foot on this continent (that would have been Leif Ericson) though he certainly did it more publicly and more often than anyone else and he succeeded in bringing the Americas to the attention of the European powers. He’d been a sailor nearly his entire life. Though he lacked much formal education he read a great deal including some very sophisticated (for the time) books about astronomy, geography, and history written in multiple languages. Through them and his world experience at sea, he came up with the notion that the distance between Europe and Japan would be considerably shorter if one went West rather than East. The Americas were a kind of happy accident that turned up en route. 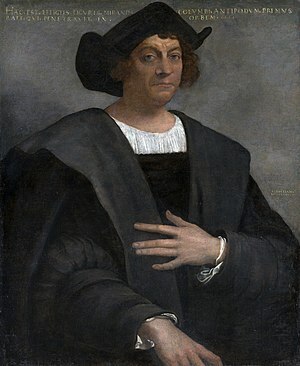 To be able to make that voyage, Columbus had to raise a great deal of money and spent almost a decade after he developed his theory finding investors. That was made difficult because many of those advising the investors were dead certain Columbus was wrong and passed on the opportunity. Any of this sound familiar? A curious mind hungers for information and actively seeks it out. That leads to innovative thinking that’s years ahead of anyone else’s. From that thinking a business plan is developed and it takes a long time to get others to believe in the notion (and to put their money where their belief is). The plan, once it moves forward, encounters an unplanned opportunity (he wasn’t looking for natives in the various Caribbean islands when he started!) and pivots to take advantage of it. I suspect you could use those few sentences to describe any number of successful businesses or products. That would make them all pretty good things for us to celebrate this Columbus Day as business folks, wouldn’t you agree?